The founder of Sri Danvantri Arogya Peedam at Walajapet, Kayilai Gnanaguru Dr Sri Muralidhara Swamigal has requested the Tamil Nadu government to call for a common prayer by people of all faiths for rains and lowering of heat in the State. He made this appeal while addressing a press conference at Perunalamaamulaiyammai Mahalingar temple of Thiruvaduthurai adheenam at Thiruvidaimarudhur near Kumbakonam, during his visit to the temple. 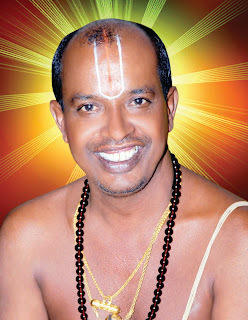 The Tamil Nadu government should announce a date and time when special homams, abhishekam and prayers would be held at all temples, whether HRCE-controlled or private, churches and mosques and all places of religious worship, to pray for world benefit, lowering of high temperatures and bring about badly needed rains, Sri Muralidhara Swamigal said.